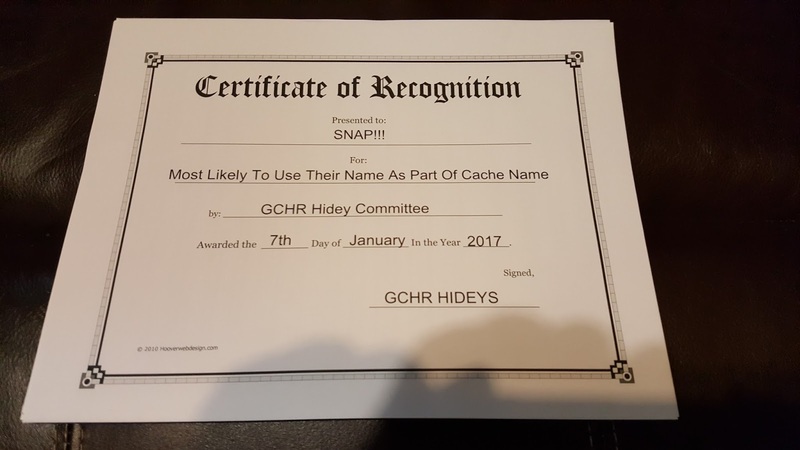 Last night, January 21, the GCHR Hidey Awards were held. SNAP!!! 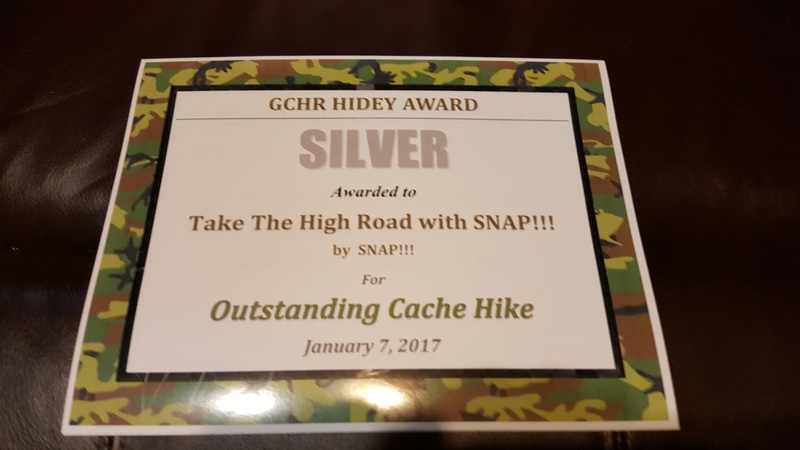 Geocaching was lucky enough to win four awards!!! 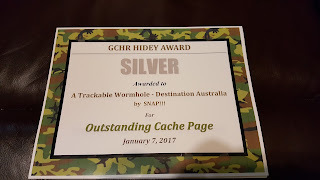 The first award we received was for Outstanding Cache Page. 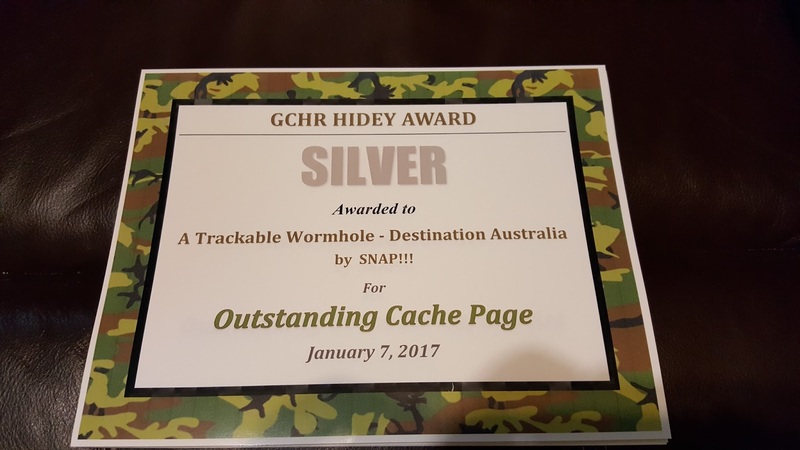 GC4TTVJ - A Trackable Wormhole - Destination Australia was awarded the SILVER award. 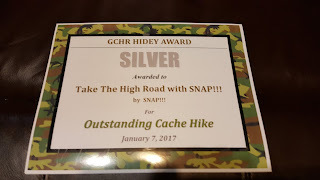 The second and third awards we received were for Outstanding Cache Hike and Outstanding Scenic Location. 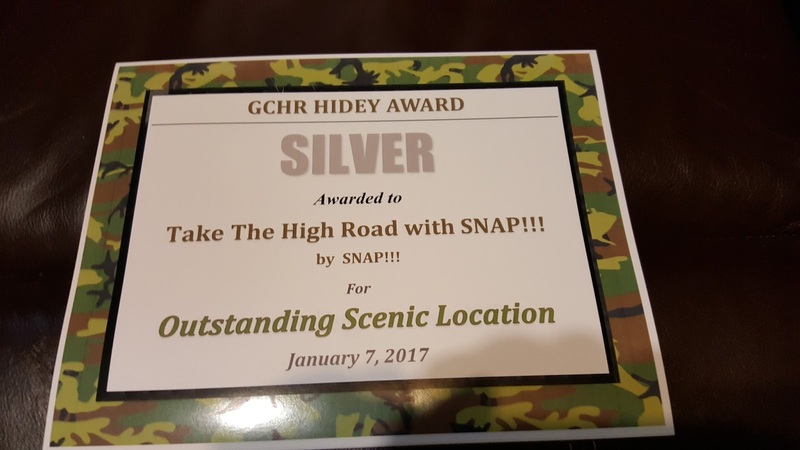 GC6G5BZ - Take the High Road With SNAP!!! won SILVER in both of those categories. 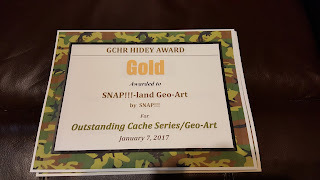 Then to top things off our Geo-Art "SNAP!! 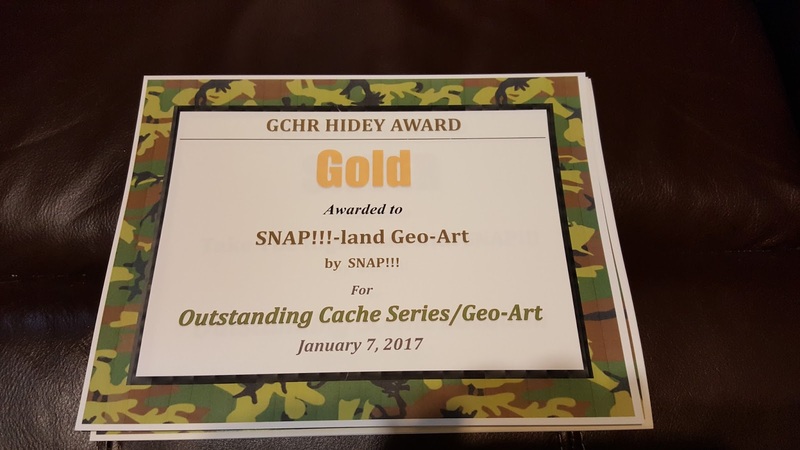 !-land" won GOLD for Outstanding Cache Series/Geo-Art. Most Likely To Use Their Name As Part Of Cache Name. 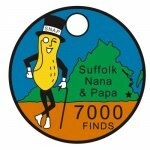 We want to thank all of the geocachers who either nominated or voted for one of our caches. We appreciate all the votes and awards. Stay tuned... we have some more coming soon!! !